Hey Sid, What do you say! What do you want to learn today? I want to know what things happen and how, and I wanna know everything now. How does this thing work? Why does that stuff change? How’d it do what it just did. 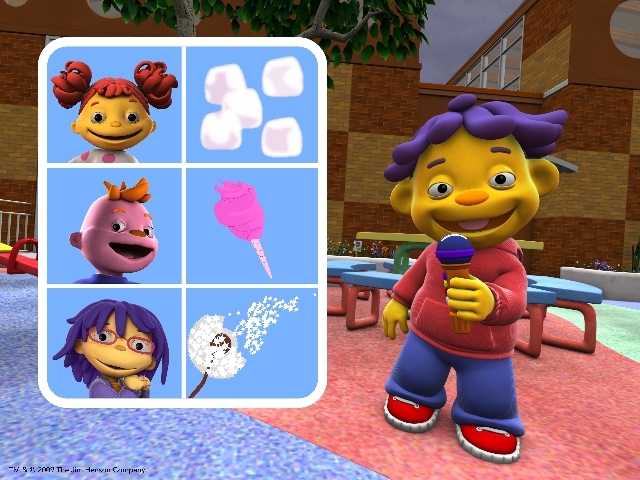 What’s up with the sky do you think i can fly The world is big and I wanna know why Got a lot of questions and big ideas, I’m Sid the Science Kid. Those words begin one of NHL’s favorite shows: Sid the Science Kid. Sid constantly tries to figure out the big questions in life like: Why does a banana turn mushy? Or why does it need to rain when you have an outdoors activity planned? Those might not seem like big questions to adults, but to kids questions like these are huge. And for good reason too. Children are just figuring out how the world works and questions like these are key. 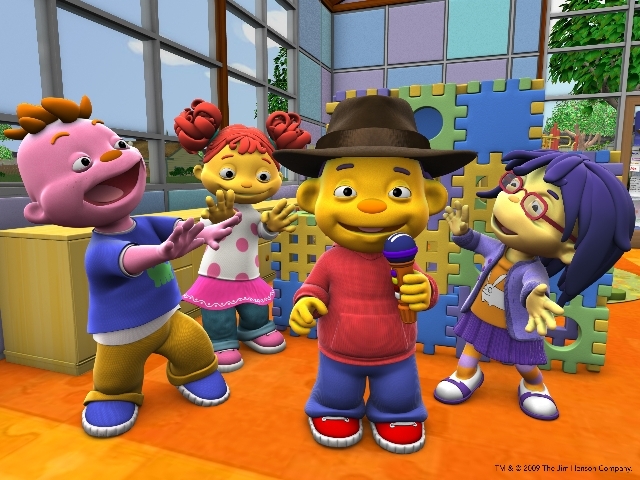 In each episode, Sid is assisted in his quest for answers by his parents, his friends Gabriela, Gerald and May and Teacher Susie. By the end of the episode, Sid (as well as the child watching) understands not only the answer to the question, but – more importantly – the why behind the answer. Sid doesn’t just feed kids answers, it encourages them to experiment and use their brains to figure out the world around them as well. 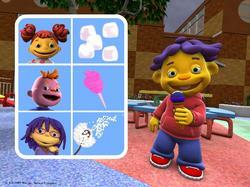 For example, in Sid’s Rainy Playdate, Sid wants to have a playdate with his friend Gabriela outside in his treehouse. Unfortunately, the weather for the day calls for rain. Sid is convinced that the rain was arriving because it knew that he wanted to go outside to play. Sid’s mother and father do some research on the computer to find out what the weather is going to be and tell him how important rain is for plants. When Sid learns that the rain doesn’t ruin his plans on purpose, his curiosity turns to clouds. At school, Sid’s teacher teaches him how to identify different kinds of clouds by how they look. She also teaches Sid and his classmates about precipitation and what it does to the ground. Of course, she doesn’t just tell them what it does, she has the kids collect rain in buckets and observe what happens outside during a rainstorm. Encouraging children to observe the world around them is very important for developing an interest in science. In fact, the motto for their "Super Fab Lab" contains three principles that are very important in any scientific endeavor: Investigate, Explore, Discover. Disclaimer: I was sent a reviewer’s copy of the 5 Sid The Science Kid weather shows on DVD to watch. However, before the DVD was able to arrive, the episodes aired. 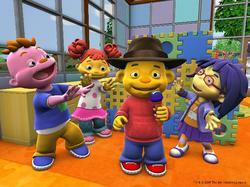 Being loyal Sid viewers, we caught it on PBS Kids. The opinions expressed above are my own (and NHL’s) and were not influenced in any way. Pingback: TechyDad » Sid The Downloadable Kid!